The role of eyeglass nose pads is as simple as significant: they keep the full weight of your glasses on your nose. Even if these components seem less relevant, your comfort depends on them. 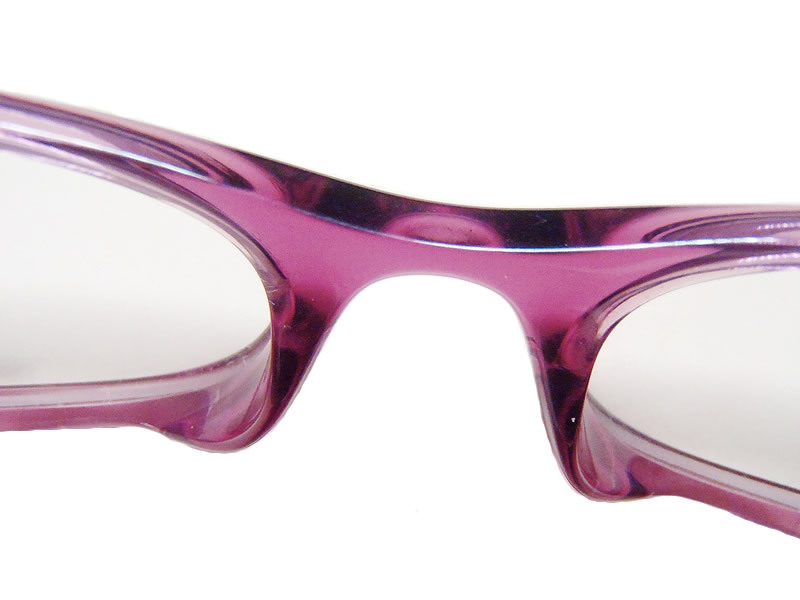 Most frames have the nose pads separate pieces, and they are attached with screws. It is possible to adjust them constantly. Go to an optical store and ask them to adapt the nose pads if the glasses are uncomfortable on your nose. These pads are removable, and if you are not satisfied with them, you can ask for other forms and materials to find what fit you. Also, you can change them anytime you break or wear them out. The most comfortable types of nose pads are the soft silicone ones, attached with screws on both sides of the bridge on frame. These pads are advantageous because they can be changed easily are soft and does not cause skin marks. They are adjustable so can be fixed easily on the nose. The other types of nose pads, like those of ceramic or glass, are part of the frame design. You must match them with the shape of your nose, in order to be comfortable. If you look for frames that have the nose pads placed directly in the frame material (such as plastic frames, which don't have separate removable nose pads), be careful to match the shape of your nose, misfitting will result in skin marks and skin irritations. As you can see, there are also a multitude of colors used and different sizes. 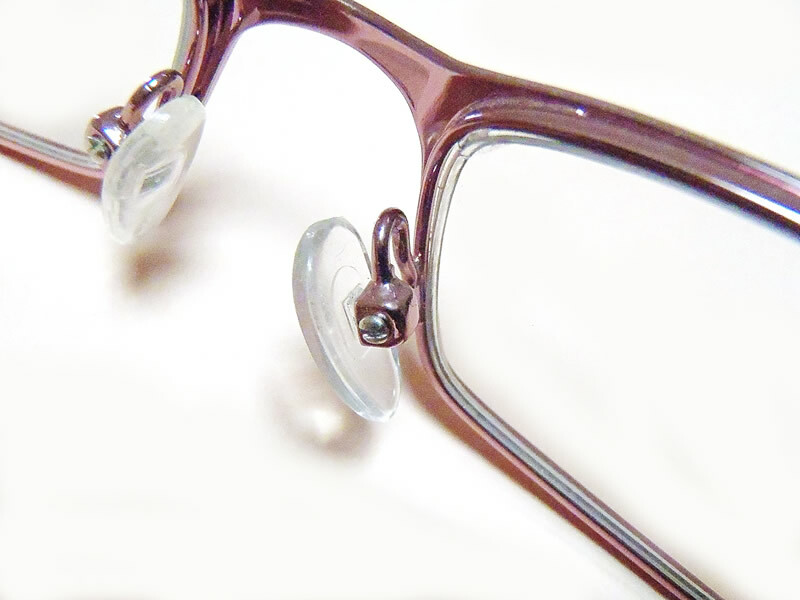 Finally, when you choose your frame, be careful at the eyeglass nose pads. They should be soft, mobile and simple for your glasses, to be comfortable for a long use. To choose the right type, I suggest you try them first, to see which fit the shape of your nose better.